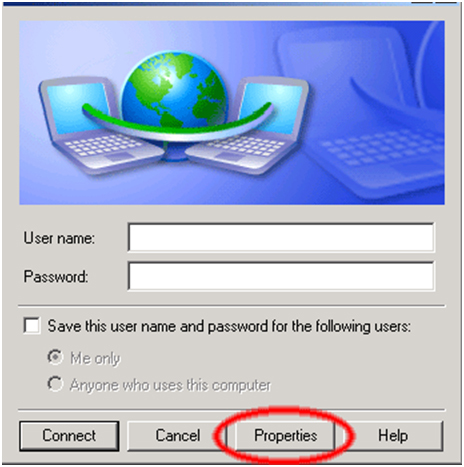 Setting up EarthVPN access under Windows XP is simple. The following instructions go step–by–step through the creation process. Before setting up the VPN, be sure your installation is up–to–date by running Windows Update. 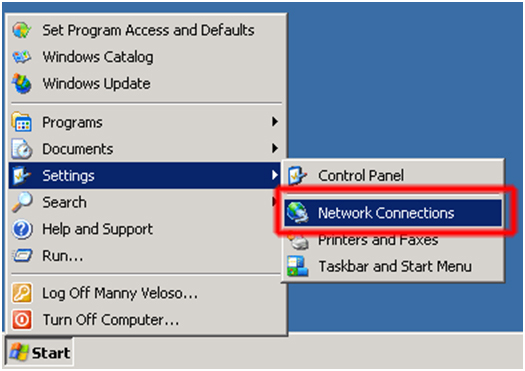 Step:1 First, open the ‘Network Connections’ folder by going to the Start Menu and selecting Settings->Network Connections. It may also be located in Settings->Control Panel->Network Connections. 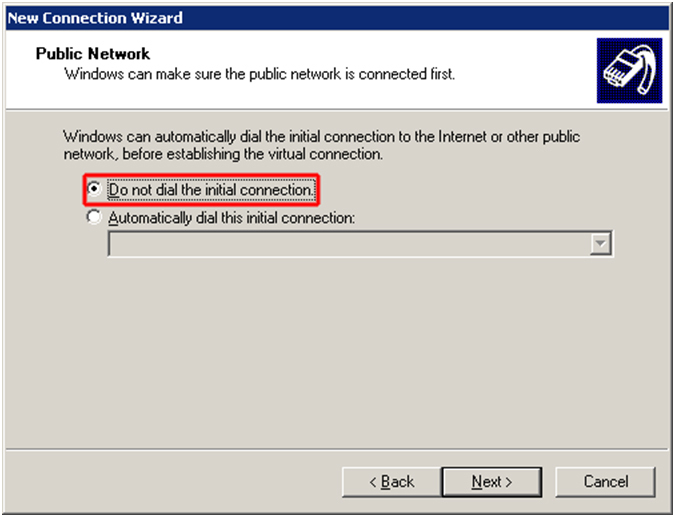 Step:2 When your control panel opens, double–click on “Network and Dial–Up Connections ’. 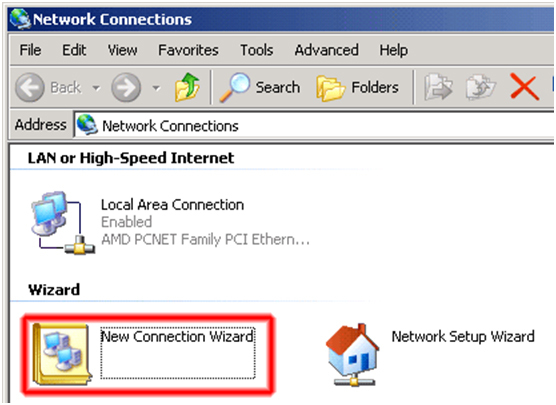 When the Network Connections folder opens, double–click on ‘New Connection Wizard ’. You should see the “New Connection Wizard” screen. Click the ‘Next’ button to continue. Step:3 Next, select ‘Connect to the network at my workplace ’ and click the ‘Next’ button. Step:4 Next, select ‘Virtual Private Network connection ’ and click the ‘Next’ button. Step:5 On this screen, type ‘EarthVPN’ for the Company Name and click the ‘Next’ button. 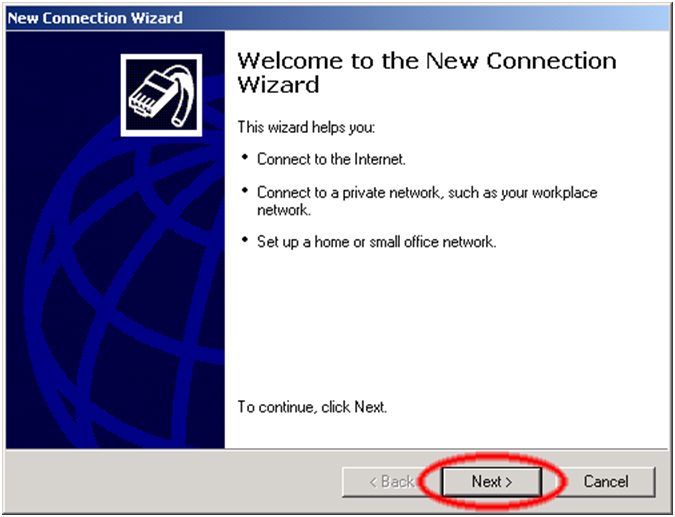 Step:6 On this screen, click “Do not dial the initial connection” and click the ‘Next’ button. Step:7 On this screen, type EarthVPN Server Address which you want to connect and click the ‘Next’ button. EarthVPN Server Addresses are provided to you. Step:8 Check Add a shortcut to this connection to my desktop and hit Finish. Next, we’ll set up the connection settings. 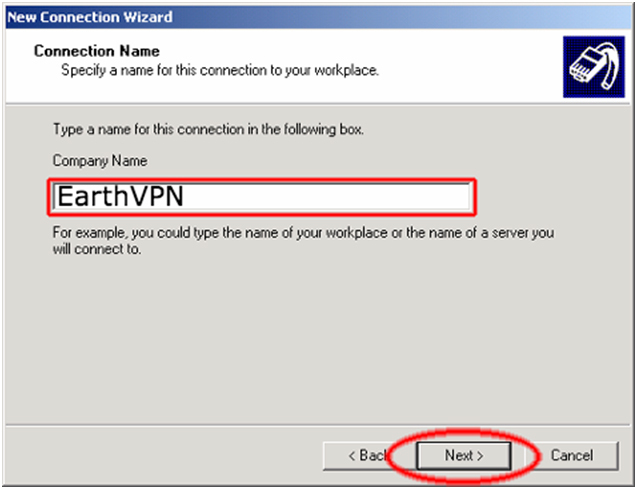 Step:9 In the User Name’ box, enter your EarthVPN username.In the ‘Password’ box, enter your EarthVPN password. Optionally, click ‘Save Password’ to save your password as part of the connection. 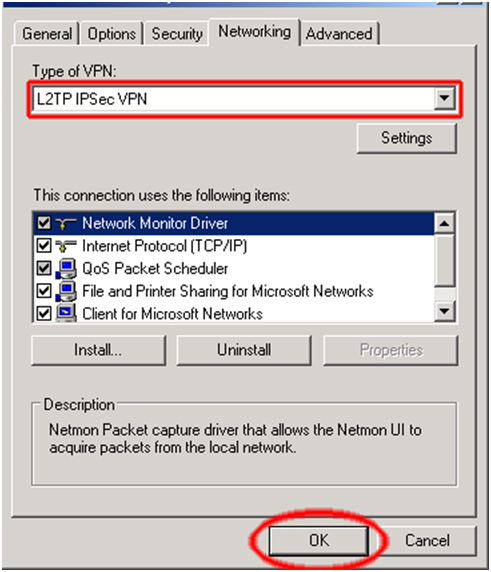 By default, Windows sets the VPN connection type to PPTP. For better security, you should continue and set your connection up to be an L2TP/IPsec connection. To do that, click Properties button. 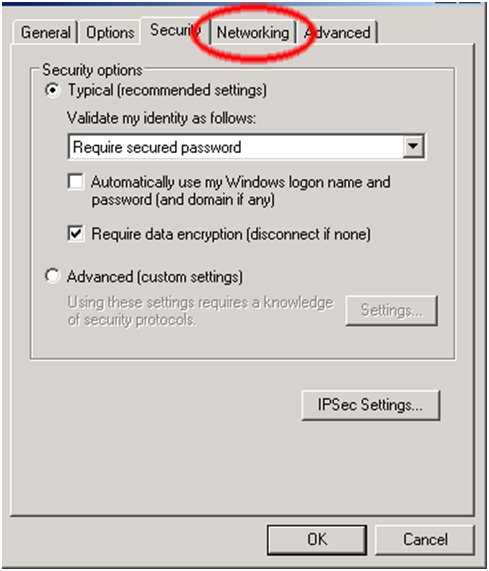 Step:11 In the next window, click the checkbox and type earthvpn as the key and click OK. Step:12 Next click the Networking tab. 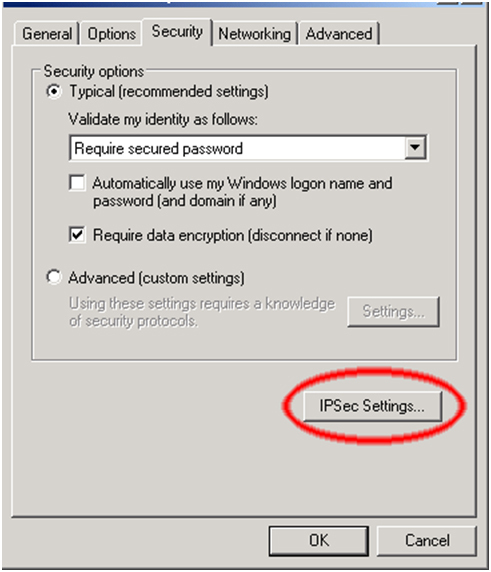 Step:13 Next click the popup menu and change the Type of VPN from Automatic to L2TP IPsec VPN and clickOK. Step:14 When you want to connect to EarthVPN, just double–click on the connection and click the ‘Connect’ button. Enter your username and password (if you didn’t save it), and you’ll connect. To disconnect from a VPN connection, right-click the icon for the connection, and then click “Disconnect”.